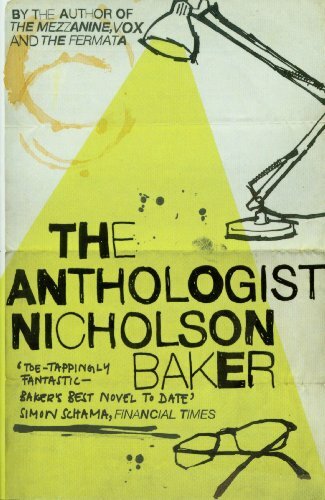 Nicholson Baker is a contemporary American writer of fiction and non-fiction. 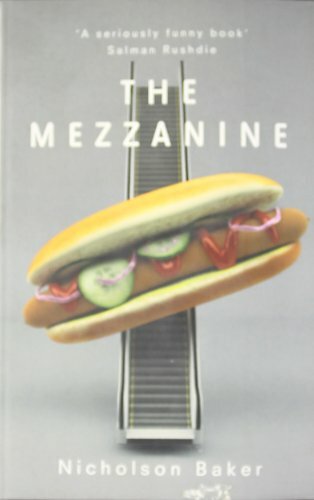 As a novelist, his writings focus on minute inspection of his characters' and narrators' stream of consciousness. His unconventional novels deal with topics such as voyeurism and planned assassination, and they generally de-emphasize narrative in favor of intense character work. 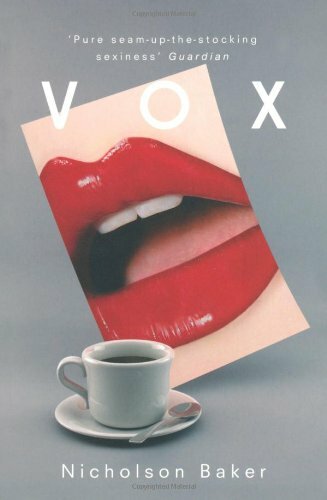 Baker's enthusiasts appreciate his ability candidly to explore the human psyche, while critics feel that his writing wastes time on trivia (Stephen King notoriously compared Baker's novel Vox to a "meaningless little fingernail paring"). Bestselling author Nicholson Baker, recognized as one of the most dexterous and talented writers in America today, has created a compelling work of nonfiction bound to provoke discussion and controversy -- a wide-ranging, astonishingly fresh perspective on the political and social landscape that gave rise to World War II. 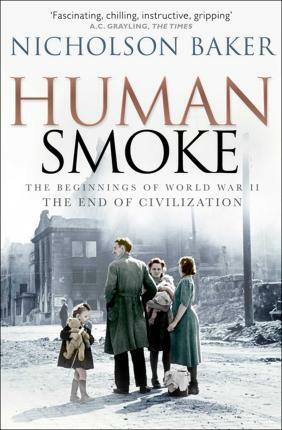 "Human Smoke" delivers a closely textured, deeply moving indictment of the treasured myths that have romanticized much of the 1930s and '40s. Incorporating meticulous research and well-documented sources -- including newspaper and magazine articles, radio speeches, memoirs, and diaries -- the book juxtaposes hundreds of interrelated moments of decision, brutality, suffering, and mercy. Vivid glimpses of political leaders and their dissenters illuminate and examine the gradual, horrifying advance toward overt global war and Holocaust. Praised by critics and readers alike for his exquisitely observant eye and deft, inimitable prose, Baker has assembled a narrative within "Human Smoke" that unfolds gracefully, tragically, and persuasively. This is an unforgettable book that makes a profound impact on our perceptions of historical events and mourns the unthinkable loss humanity has borne at its own hand.